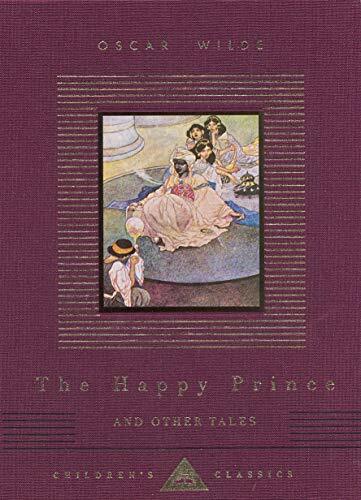 The five original fairy tales included in this volume were first published by Davis Nutt in 1888. Although it is said that Wilde wrote them for his two young sons, the author himself claimed they were '. . . . not for children, but for childlike people from eighteen to eighty'. Since then the stories have been constantly reprinted and, despite the author's disclaimer, children have made the tales their own, a particular favourite being 'The Selfish Giant' - the highly moral story of the giant who banished children from his garden, so that spring never came. Charles Robinson, who produced the illustrations for a special edition first published in 1913, brought to the book a feeliong for its innate sadness that exactly fits the poetry of Wilde's text. Oscar Wilde was born in Dublin on 16 October 1854. He studied at Trinity College, Dublin and Magdalen College, Oxford. He later lived in London and married Constance Lloyd there in 1884. Wilde was a leader of the Aesthetic Movement. His only novel, The Picture of Dorian Gray, was first published in Lippincott's Monthly Magazine in 1890. He published a revised and expanded edition in 1891 in response to negative reviews which criticised the book's immorality. Wilde became famous through of the immense success of his plays such as Lady Windemere's Fan (1892), An Ideal Husband (1895) and The Importance of Being Earnest (1895). In 1985, after a public scandal involving Wilde's relationship with Lord Alfred Douglas, he was sentenced to two years' hard labour in Reading Gaol for 'gross indecency'. His poem The Ballad of Reading Gaol was based on his experiences in prison and was published in 1898. After his release, Wilde never lived in England again and died in Paris on 30 November 1900. He is buried in Pere Lachaise cemetery.